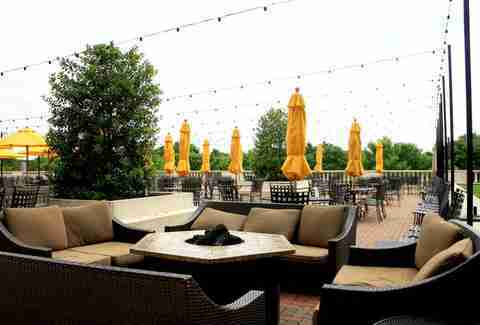 Charlotte may not have a surplus of rooftop bars, but the ones we're fortunate enough to have are damn fine options. Whether it's an opulent cocktail on a weekend night, a place to celebrate a special occasion, or a casual drink on a lazy Sunday afternoon, we've got some beautiful open-air hangouts to satisfy any mood. Here are the ones you need to check out. Those who have yet to visit The Peculiar Rabbit are missing out on one heck of a skyline view. 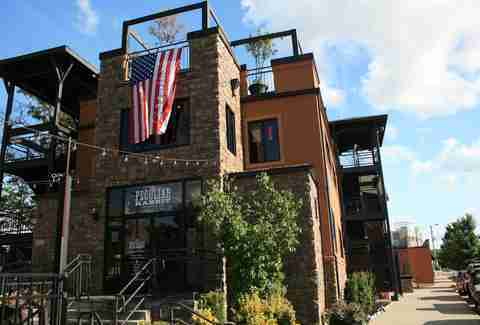 Along with neighboring Whiskey Warehouse, this Plaza Midwood gastropub offers the best sunset perspective in the Queen City. In addition to a menu consisting of traditional English fare infused with Southern ingredients, an extensive drink list features specialty cocktails, bottled beers, wines by the glass, and more than 20 different types of bourbon and Scotch. With the arrival of Fahrenheit atop Uptown's Skye Condos in 2014, Charlotteans were given access to a 360-degree city view from 21 stories up. No longer the new kid on the block, it's still one of the most beautiful rooftop bars around. Stop by to scope out your favorite landmarks below while enjoying a creatively crafted seasonal cocktail and lounging on one of the many comfortable couches. Whiskey Warehouse provides the ideal situation for those looking to enjoy the beautiful Southern sky. The upstairs patio bar, Top Shelf, is a neighborhood favorite, thanks to the distinct skyline view it provides from its perch (plus the daily drink specials). No weekend brunch is complete without cheap mimosas and a crucial Bloody Mary bar. Lucky for you, this place has both. You may only get a peek of the cheerful yellow patio umbrellas as you drive past the office buildings of Barclay Downs, but if you make your way up to the Rotunda building you're in for an unexpected SouthPark surprise. Stop in and experience this impressive rooftop-dining scene, a large landscape that features some delicious made-from-scratch menu offerings and live music throughout the year. At the tippy top of Uptown’s popular Epicentre bar scene sits Rooftop 210, offering up the trifecta of nightlife entertainment: a glowing cityscape, live music, and a gang of enthusiastic millennials letting off steam. Stop in on any Thursday evening during the summer months for Alive After Five, a weekly series providing a weekday escape for Charlotte's corporate world with the help of local bands and beer vendors. Charlotte was definitely in need of a rooftop bar with a water view, and this one located just outside of the city delivers on that. 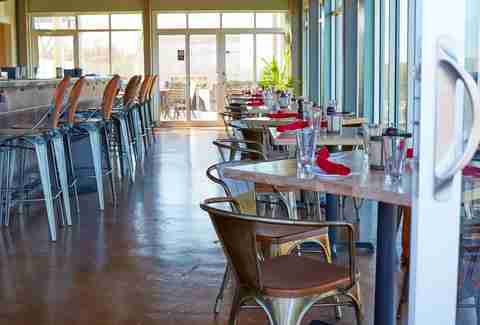 The restaurant, formerly an industrial pump house, features a fifth floor bar overlooking the Catawba River that offers incredible views anytime during the day. Try out the Riverwalk mule, a Popcorn Sutton moonshine concoction, or the Jalapeño-Rita, made with local brewery Birdsong’s Jalapeño Pale Ale. Unpretentious and laid back, Gin Mill is your typical dive bar that supplies everything you hope for in terms of a local retreat, including a chill rooftop terrace complete with bar games for your drinking amusement. You won't find a food menu at this establishment, so start or end the night here and plan to let the beer speak for itself. 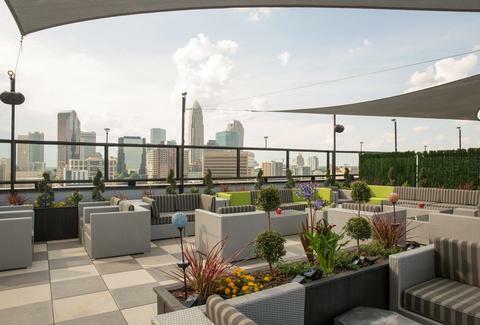 Located on the 19th floor of Le Méridien Charlotte Hotel, City Lights has an expansive view of Uptown. 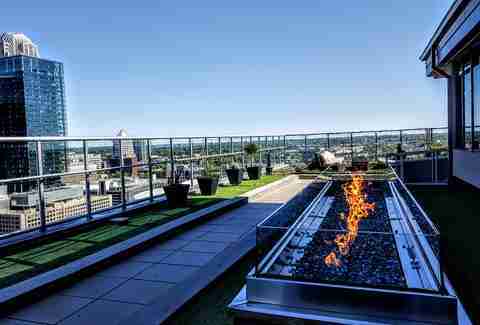 Touted as the largest rooftop bar in the Queen City, CL is the perfect spot to show off the city to out-of-town guests. 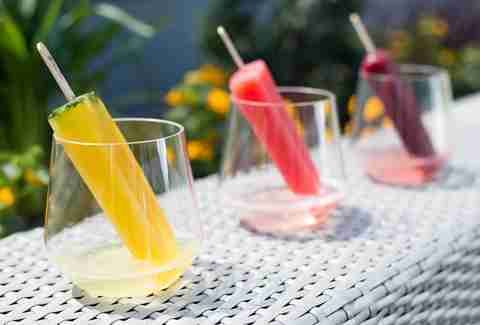 Bring your friends, order the signature Sparkle & Pop drink (bubbles with a King of Pops popsicle placed in it), listen to the thumping music from the DJs, and if you have too much fun (which you will), just grab a hotel room. Erin Maddrey is a writer for Thrillist and believes that great drinks can be had on the ground floor or up in the clouds. Follow her and her Charlotte adventures on Twitter and Instagram. Courtney Matinata is a freelance writer for Thrillist, who doesn't feel as guilty about excessive happy hours when there's a view involved.